Shells are one of the things that will always remind you of holidays, summer and sea. As it is known, seashells are dead empty shells of marine molluscs, which can be often found on beaches. Most of the beaches in the world are primarily composed of pieces of rock, sand, pieces of sea grass, gravel, small stones. In rare cases the beach can be completely made up of seashells. Shell Beach, the beach made of seashells, is situated 45 kilometers southeast of Denham in Western Australia. The beach streches for unbelievable 120 kilometers! This beautiful snow-white beach is made up of millions of tiny seashells that go up to 10 meters deep! The seawater in L’ Haridon Bight Bay has a high salinity due to geomorphology and local climate. This high salinity allows shells to multiply out of control, because its natural predators are not adapted well to the salinity of the water and this environment. Seashells are dying their natural way and are beginning to accumulate on the coast, and it has been going on for thousands of years, so that today they are completely covering the entire beach. It is also interesting that seashells on this shore form the entire seabed, which streches for hundreds of meters from the shoreline. 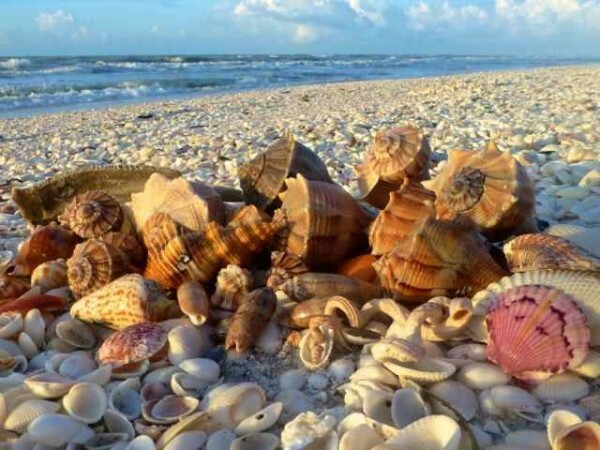 Sanibel Island beach attracts many visitors from all over the world, due to its huge amount of seashells that are situated on the coast. One of the reasons for such a large accumulation of shells in one place is that the barrier of the island Sanibel has orientation east-west while the majority of island has the orientation north-south. So that the island Sanibel looks like a big shovel scooping up all the seashells that Gulf imports from the Caribbean and other southern seas. 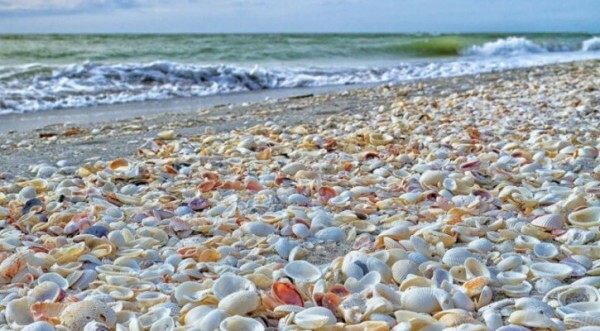 Each week at peak summer season between 20-30 000 people visit this beach of shells on the Sanibal island and also neighbouring Captiva island. Otherwise, some better and bigger shells can be purchased at local stores. If you looking for best cottages on Sanibel Island you can find it here. St. Barhs beach made up of seashells, also called Grande Galet, is one of the most popular places and beaches on this island. So that many visitors are coming to admire and see this beach. The beach has a set of unique ordinary shells and conchs shells that are constantly changing and evolving along the coast. Jeffreis Bay is a place located in the province of Eastern Cape in South Africa. Although it is not so spectacular beach like Sanibel or Australian Shell Beach, Jeffreis Bay is known for its richness of shells and seafood with a large squid. City Museum of shells contains more than 600 species of shells, which makes this museum one of the biggest guardians of the collections of seashells in South Africa that attract lovers of shells from all over the world. Every September the town holds a “Shell” festival (festival of shells). 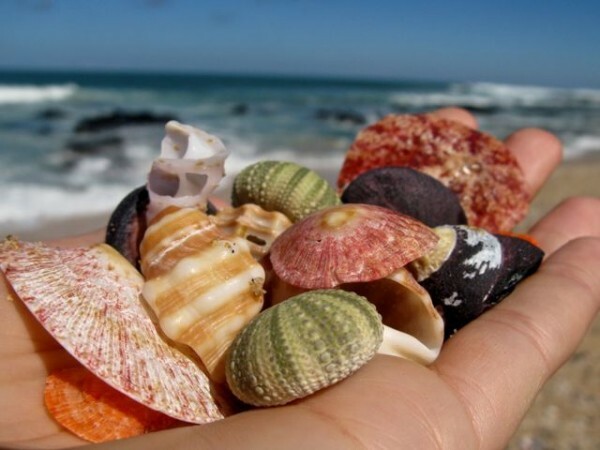 This festival has been held in Jeffreys Bay for over 20 years and it has become a tradition, so that many people from all over the country gather in this small town to celebrate the shell in all its forms. And to add to the end, Jeffreis Bay is also popular tourist destination because of its surfing opportunities. That is one of the five most famous surfing places in the world.